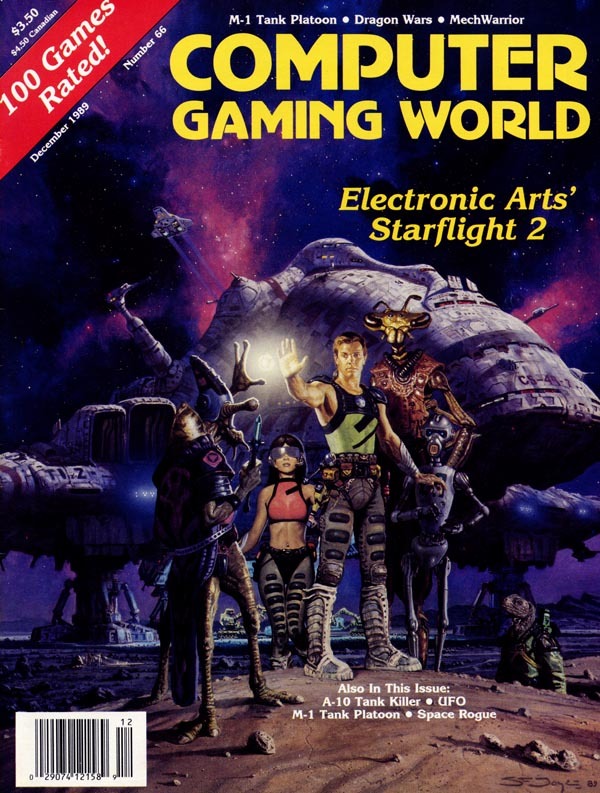 Computer Gaming World Comments and Highlights: Some science-fiction and space exploration for December, with a sneak preview of Starflight 2 and a review of Space Rogue. Johnny Wilson previewed the instant classic MechWarrior, while Charles Ardai took a look at David Wolf: Secret Agent. Two war simulations were also covered: from the air, A-10 Tank Killer and on the ground, M-1 Tank Platoon.